Calle Marquetti No. 2, Rpto. Las Flores. Carretera de El Caney. Santiago de Cuba. 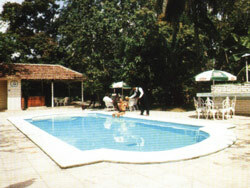 Located next to the El Caney highway, only 10 km from the Santiago de Cuba international airport. No reviews for Hotel Hacienda el Caney yet.